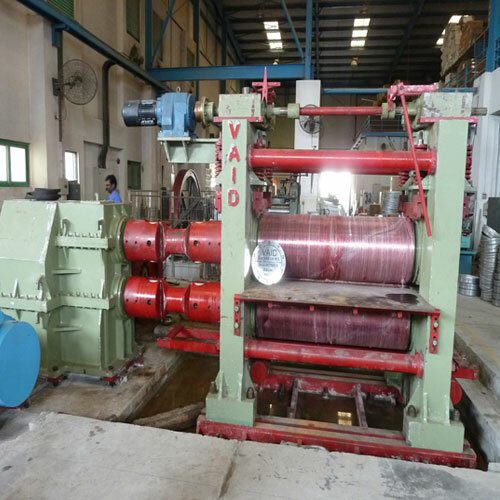 The 2 Hi Cold Rolling Mill is used for making strip/sheets and helps in improving the strength and forming higher tolerance. 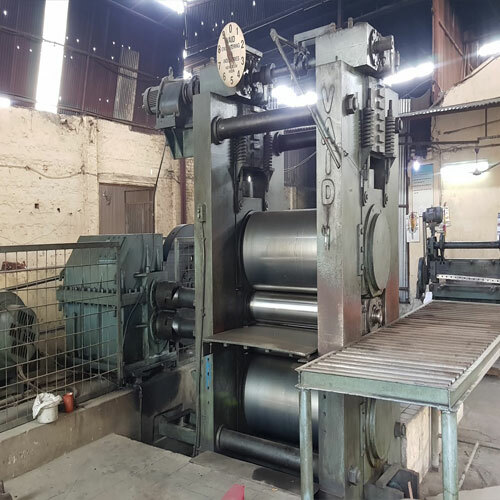 This machine provides accurate size and output desired by clients and advanced methods of production which directly reflect in higher productivity and reduce the operational cost significantly. The coils we provide are of splendid quality, perfect size and holds strong property. In order to ensure close thickness, tolerance, and flatness and surface finish, this can be fitted with AGC systems, zonal coolant control systems, flatness measurement and control system, hydraulic roll gap adjustment systems. Our technologically developed 4 Hi Cold Rolling Mills are used for shaping large pieces of metals such as billets, blooms and slabs. It has capability to treat wide range of strip widths; output thickness can reach 0.15mm, with mill speed of up to 1400 meters per minute. We utilize the latest technology while forming our cold rolling mills which ensures low cost maintenance and high point of productivity.